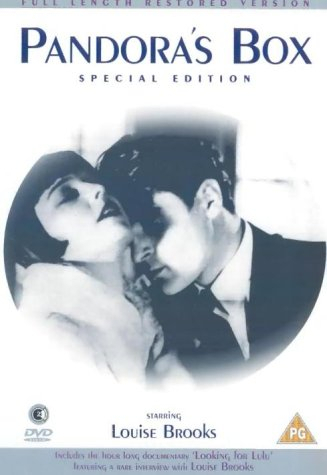 One of the great silent films, GW Pabst’s Pandora’s Box is renowned for its sensational storyline, sparkling Weimar-period setting and the legendary lead performance from its iconic star Louise Brooks. Following the rise and fall of Lulu (Brooks), a spirited but innocent showgirl whose sheer sexual magnetism wreaks havoc on the lives of men and women alike, the film was controversial in its day, then underappreciated for decades. Pandora’s Box now stands as an incredibly modern movie, and few stars of any era dazzle as bright as Louise Brooks. Pandora's Box on DVD is a clean, crisp transfer in the classic 4:3 ratio, and the mono soundtrack brings out all the detail of Peer Rubens' Kurt Weill-inflected score, stylishly performed by the Kontraste Ensemble. Dialogue intertitles can be read in either English or German. Special edition featuring 'Looking for Lulu' bonus documentary narrated by Shirley Maclaine.